See You In The Rain!! Getting caught in the rain or preparing for rainy weather can't get anymore fashionable than this. This one item is how you can turn a gloomy, dreary rainy day, into a fancy sunny day. 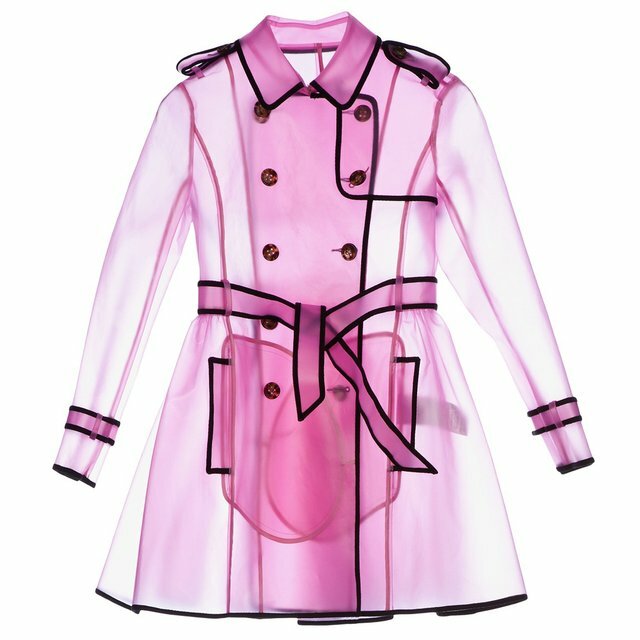 Purchase this Red Valentino Sheer Rain Coat Trench and wear it to death!! 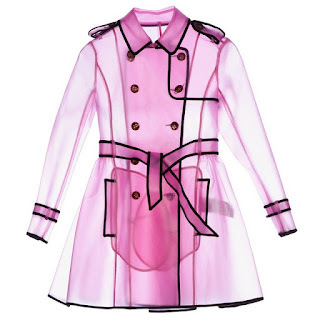 This coat is from the Spring/Summer 2013 Red Valentino collection and is equipped with a double breasted trench closure, is soft pink in color, pvc profiled with contrasting spikelet ribbon and a coordinated belt. The coat is finished with straps on the wrists, a button down collar and flared skirt. Certain to have you singing in the rain! Price - $750, order information is available upon request. Fashion's Night Out 2013 - Lights Out! The Top 10 Workout Songs for February 2013!! Rachel Roy Fall/Winter 2013 Digital Runway Show! Minnie Mouse To Wear Lanvin Once Again!! The 55th Annual Grammys Rundown! Topshop Is Going To LA! Take A Look: MCM Spring 2013! Faves From Chloe Spring 2013 Handbag Collection! Zigi NY Z-Jo Camo Studded Boots! !